Michael has been a member of The Coventry Magic Circle, The Leamington & Warwick Magic Society and The Northampton Magicians Club. He has served as a committee member in two of them. Michael is also an "Immortal" (A'Bizarre" Group), also a founder member of the "Grimoires" along with Frank Allen and Bernard Anderson. He has performed at The Louis Corcyra Hotel in Gouvia, Corfu. 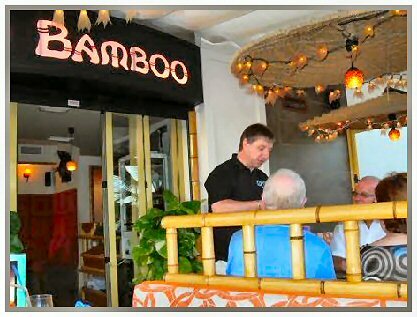 Bamboo and Stoker Browns in Nerja Spain. Nearer to home he has performed at The Abbey Theatre, The Quorn Hotel, Quorn. Forest Hill Golf Club, Botcheston. Burleight Court Hotel, Loughborough and The Calypso, Blackpool. Michael performs regularly in and around the Leicestershire and Warwickshire area. Michael performs 2 styles of magic "Mentalism" whose exponents include names such as Derren Brown, Banacek, Luca Volpe and Marc Paul. 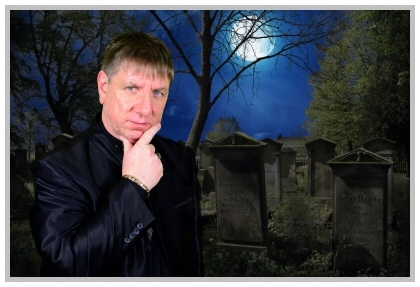 As a 'Bizarrist' he performs a darker side of magic, which entertains and scares the audience at the same time. Michael has performed his stage act at weddings and several charity functions. He also has a small group of fellow magicians he calls upon when required for larger functions. 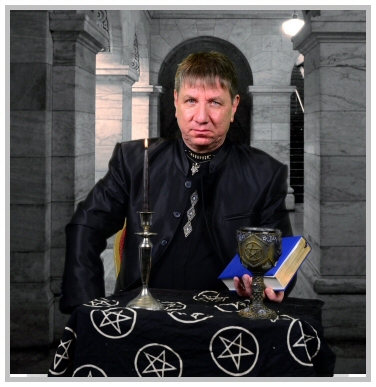 "Performing at Bamboo, Nerja - Spain"
Member of "The Immortals" "The Grimoire Chapter" | "The Leamington & Warwick Magic Society" | "The Northampton Magicians Club"